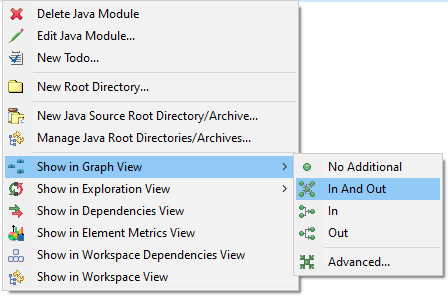 Exploration and Graph-based views can be created by right clicking on a selection of elements, selecting the view to open and providing one of the four focus modes from the context menu. A new view will be created with the supplied focus parameter, only direct dependencies (not transitive), both internal and external elements and all the parser dependency types available. 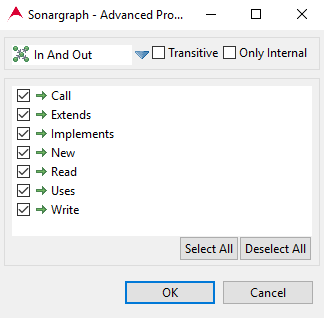 If more configuration options are need upon view creation, users can right click on a selection, select the view to open and click on 'Advanced...'. That will open the Advanced View Creation dialog where all available options can be configured.